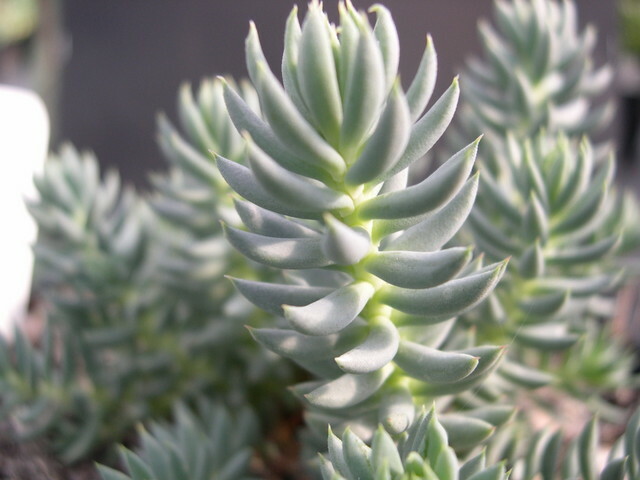 This is a naturally occuring hybrid between Sedum rupestre and Sedum sediforme from the French Alps. Gray pointed leaves. Pale yellow flowers in upright rounded flower clusters. Evergreen perennial.